House full of Huff's: We're building a house! Back in early July, we started poking our heads around Zillow to see what kind of houses were on the market and what our target price range was going to be. 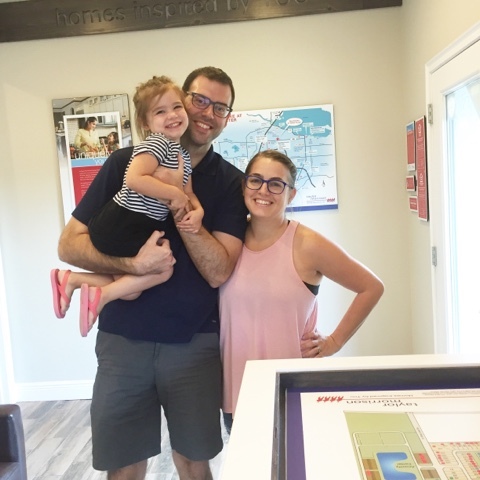 We knew we wanted to stay in our area and school districts were a huge factor and it didn't take us long to figure out that an existing home in our price range in the area we wanted was going to come with a very big list of 'fixer upper' projects. Just for shits and giggles I decided to look at communities that were currently being built, not really thinking it would be a possibility. And most of them are not. 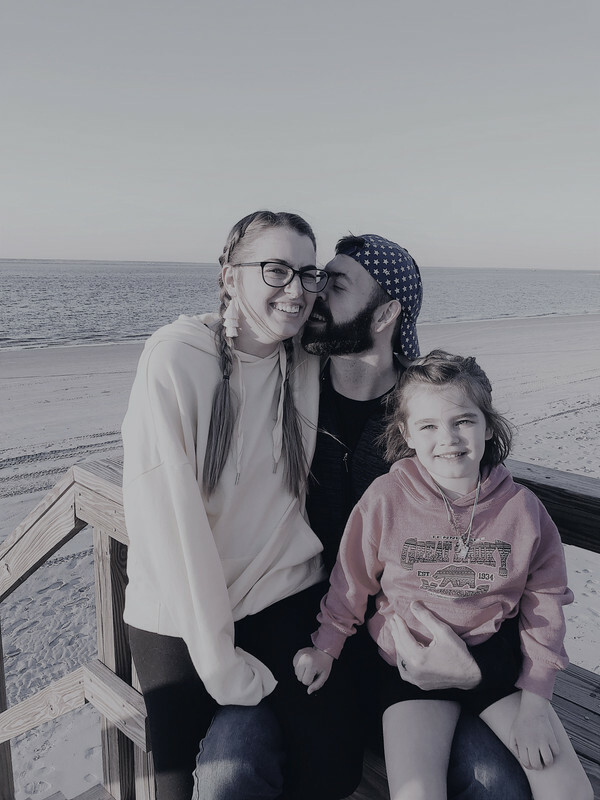 BUT, to our surprise, we found a perfect community, in the school district we wanted and we would only have to slightly increase our budget (which is totally worth it for a brand new house). 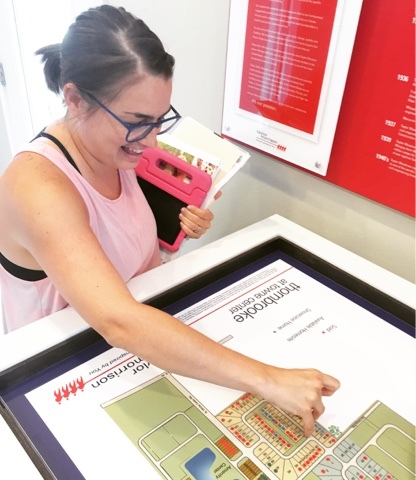 In mid July, we set an appointment to view the model home and get some more information (like how much over the base price we would expect to spend, how getting a mortgage works when you are building, etc.). After that appointment, we were told to head to the builders showroom on the night of their open house to look at pricing/upgrade options to get a better idea of how much we would be spending. We left knowing that although we wouldn't be getting everything we wanted, we were 100% certain this was the route we wanted to go. So, almost immediately we set up another appointment at the sales office to get the ball rolling. At this appointment, we signed our contracts, picked our lot, made some structural and electrical decisions and paid a small fortune to secure our spot! 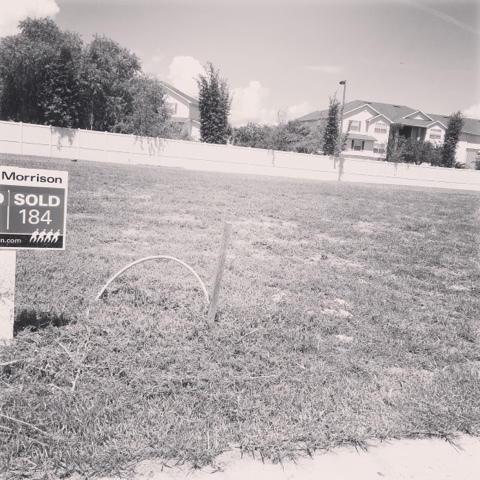 We left that day with our new address, an empty bank account and beaming smiles! So, time frame wise, this all happened back in the middle of July, we've since finalized all of our design plans, received mortgage approval and done no less than 16 drive-bys of our lot, hoping to see some action (no luck yet!). We should expect to be closing on our new home in mid-January, early February. The day we signed our contract - making it official! Placing the 'sold dot' on our lot in the sales center.